A Swedish man is facing charges in court after being accused of eating bacon too closely to a group of veiled Muslim women and calling them derogatory names. The incident occurred in the Swedish capital of Stockholm over the weekend. The Swedish man, who has not been named by media or the police, is said to have approached the Muslim women who were wearing Islamic veils on a train while he was eating bacon and dangled the bacon in front of their faces, Swedish broadcaster SVT reports. According to the report, the women got up to find seating elsewhere and the man followed them with his bacon. He is alleged to have called them derogatory names and made racist comments, though neither the police nor the court has specified what was said during the incident. The prosecutors allege he then used racial epithets on another woman in the train station after getting off the train. He faces charges of incitement to racial hatred. What's the next step ? Other users found humour in the story posting various reaction images involving Islamic extremism and bacon. Many criticised the policies of the Swedish government and political correctness. The case is not the first time bacon misuse has led to prosecutions for hate crimes. 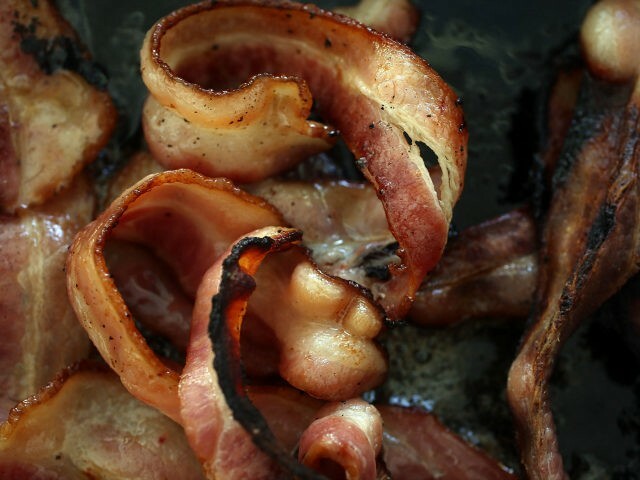 In the UK last year, two Polish men were jailed for throwing bacon inside a London mosque. The pair were charged with a “racially motivated attack” when one of the men swore at a Muslim man and threw bacon at him. In Bristol last year, police were also alerted to another potential hate crime after several people threw bacon sandwiches at the entrance of a local mosque. Police commented on the incident calling it “abhorrent”.